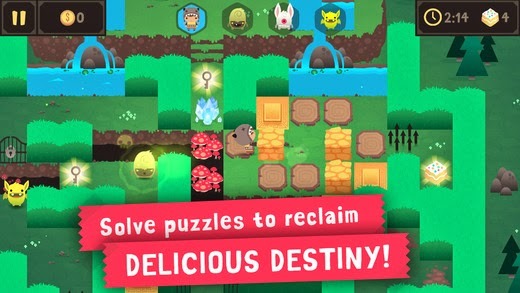 Monsters Ate My Birthday Cake v1.0.1 – Warning: This game is crammed full of monsters, cake, amazing powers, puzzly bits, epic adventure, witty repartee, secret paths, unlockable characters, silly hats and a wiener dog. Use caution if you are allergic to fun or overly sensitive to cake-related pathos. As so many of these things do, it all begins on a magical island. In this case, Gogapoe Island, a place populated by both humans and monsters. What starts out as a mission to get back Niko’s birthday cake becomes a quest for the fate of Gogapoe itself. But, ya know, cake is still super important, too! 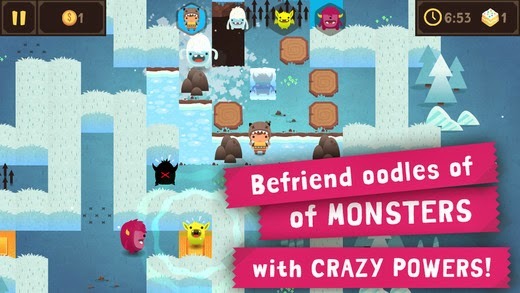 Oodles of friendly monsters will join Niko’s quest and use their kooky powers to demolish obstacles and humiliate enemies. Hordes of evil monsters will cause mayhem and generally be jerkfaces, but that’s nothing you can’t fix with headbutts, frost breath, stink clouds and rainbow barf. Even with powerful amigos at your side, you’re gonna need your thinking cap to get past these cerebrum-tingling environmental puzzles. And did we mention the bonus challenges that give you these really swell stars? You like stars, don’t you? IT NEVER HURTS TO HELP! If side quests are your jam, Gogapoe is packed with people—and monsters—in need of roadside assistance. Send a little love their way, and you might discover hidden paths, unlock extra levels or earn unique swag, including special costumes that give Niko nifty powers of his own! With innovative touch controls so buttery smooth they could grease a cake pan, it’s never been easier to manage a crew of big, hairy behemoths. Just draw a path, and they’ll follow your instructions to a T, even if you swap to another monster to cue up a different action.